Coming to the present moment is where life opens up to grace and wonder. Jonathan Foust has been leading students all over the world to living a mindful and centered life. Jonathan shares exercises that will both expand and calm your energy while focusing your breath and attention. Don’t miss Jonathan’s soothing force of quietude inviting you into your own heart. 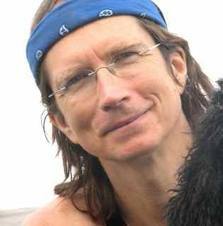 Jonathan Foust, MA, CSA, is a Senior Teacher with the Insight Meditation Community of Washington and a Founder of the Meditation Teacher Training Institute of Washington. He is creator of the Year of Living Mindfully Program and works 1-1 with private clients. He has studied numerous disciplines from both the Yogic and Buddhist traditions and has been leading retreats and training teachers for over twenty five years in both residential and corporate settings. He has been widely quoted for his commentary on yoga, meditation, spirituality and healing in The New York Times, Wall Street Journal, Yoga Journal and other national publications and media. He is the former president and a senior teacher at Kripalu Center for Yoga and Health, the largest center for yoga and health in North America. A practitioner of yoga and meditation for over thirty years, he lived for over fifteen years in a monastic setting. Some of his audio recordings include The Art of Relaxation, A Touch of Grace: Bamboo Flute Meditations, as well as two guided meditation compilations produced in conjunction with Simon & Schuster: Energy Awareness and High Energy Living. Jonathan has presented in organizations as diverse as The World Bank, Universal Music Group, The United Bank of Switzerland, the DC Superior Court, the Young Presidents Organization, The Organization of American States and the Montgomery County School district.